Also known as "the Grandfather Sage". Each bundle has powerful aroma. 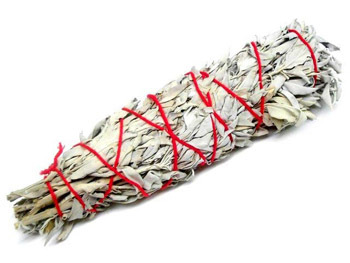 Each wand is a tight bundle of dried White Sage. The sage bundles average 8" to 9" L x 1 1/2" to 1 3/4" in diameter (widest point). The bundles average appx 1.5 oz in weight.